So the second season of Marvel's Agents of S.H.I.E.L.D. turned out to be a lot more interesting that the first one as it dealt more directly with our intrepid heroes still fighting the good fight even though the cladestine organization technically no longer existed as a sanctioned operation. The group really had to pull together and do their best to manage meager resources to stop the bad guys. The third season of the show once again felt subsurvient to other trends on the Marvel ecosystem as a whole, in partcular the efforts put into building up the Inhumans as an odd alternative to the mutants of the X-Men and related groups. This will always feel like an odd track to take as it often manifests as old X-Men stories transposed to apply to mutants, and thus this season has a LOT of Inhuman-hunting by governments trying to control these super-powered individuals. And that tends to come across as cheap and lazy writing to me. 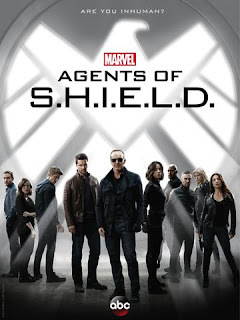 Synopsis: Marvel's Agents of S.H.I.E.L.D. is a US television series created by Joss Whedon, Jed Whedon, and Maurissa Tancharoen. The first four seasons of the show are availalbe on iflix. The season begins with the introduction of the ATC - or the Advanced Threat Containment unit. They're a government organization tasked to identify and apprehend new Inhumans. It's not clear what they do with these Inhumans once captured and Director Colson (Clark Gregg) and his small S.H.I.E.L.D. group take it upon themselves to "save" these Inhumans before the ATC can capture them. But they're not alone in their pursuit of Inhumans. There's also the monstrous Lash, who seems to be actively killing Inhumans once discovered. Between the ATC and Lash, S.H.I.E.L.D. is more than busy on the Inhuman front with fellow Inhuman Daisy Johnson / Quake (Chloe Bennet) taking this whole situation a bit more personally than she should. What I Liked: The show really stepped up efforts to remain relevant with respect to the big movies in the Marvel Cinematic Universe and so we get a much richer environment to things including mentions of other movie events, dealing with movie character stories (or at least their underlings) and other good stuff. At the very least the show no longer feels like the red-headed stepchild in the MCU. Most if not all of the core team had their moments in the spotlight and they did a pretty good job of really giving the show a steady team dynamic. And that's not easy given the expanding cast of characters that were part of the team at this or that point. But man, the whole scenario involving the disappearance of Simmons and how she survived her ordeal on the other world was a pretty interesting story point. What Could Have Been Better: Inhumans, Inhumans, Inhumans. The fate of this season gambled heavily on the Inhumans more than any other and I don't think it paid off all that well. Daisy's convoluted history and what lead to her Inhuman heritage wasn't all that fun at all and dragging in this Hive creature to stir the pot just didn't work out. I know Ward (Brett Dalton) has always been a rather lackluster character even with the Hydra twist but this Hive stoy didn't really save him. He made for a very boring, unrelatable villain. By the end of the season I didn't really know where to stand with everyone and the show just felt like a mess of convoluted plotlines. The efforts to bring in Secret Warriors characters didn't quite carry the same impact as the comic book series and beyond that the writing just felt unfocused. 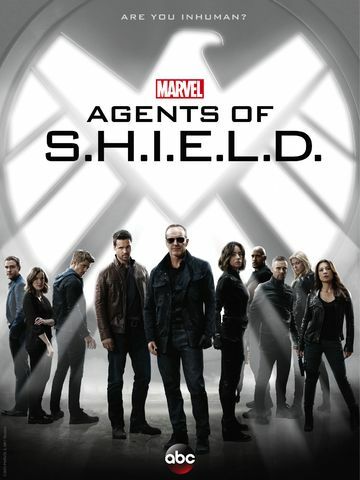 TL;DR: The third season of Marvel's Agents of S.H.I.E.L.D. is not the strongest for the series as a whole and it may be tough for some to see it through to the end. And while this does not indicate the value of the season itself, but I will state that the next season helps redeem it to a significacnt degree. Thus the season only gets 3 strange moves by Hive out of a possible 5.